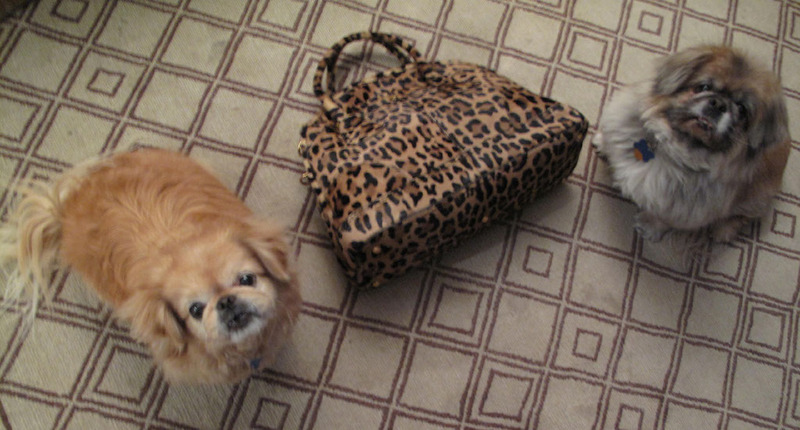 Whenever I photograph a purse, I try to get one of the dogs to pose with it. 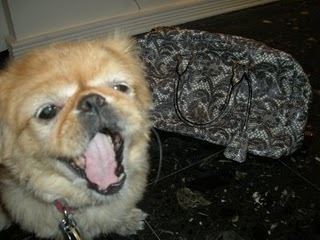 Henry the dog was bored by this lace-print Prada bag in 2008. 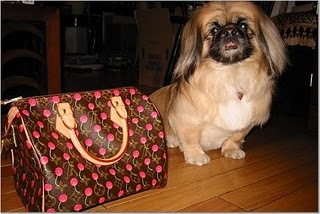 Gigi the dog lurked near a Louis Vuitton in 2005. MrB picked this out all by himself. … that it required the presence of both dogs! It was tough to wrangle the two of them into the picture. I was impressed that MrB was brave enough to manage another solo handbag-shopping trip. After he surprised me with a bag in 2010, he exclaimed, “There were so many options! How does anyone ever decide?” This time was easier, though, because he knows he can’t go wrong with leopard print. The two-dog photo reminds me of the band Three Dog Night. The band’s name comes from reports of an indigenous Australian custom of sleeping with a dog on cold nights. Colder nights required two dogs. The coldest nights were “three dog nights.” I love Three Dog Night’s cover of Harry Nilsson’s song “One” just as much now as I did when I was a kid. I’m a fan of their style too. 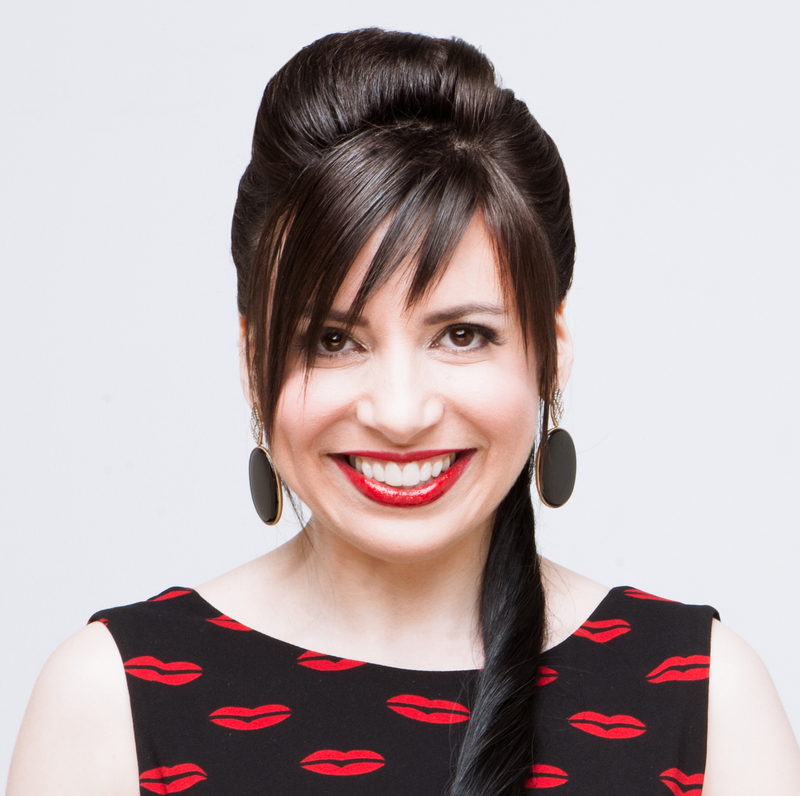 Shiny shirts, long hair and mustaches are like leopard print — you can’t go wrong! 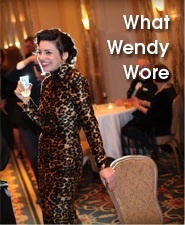 Omg, Wendy!!! Gorgeous new bag!!! I hope MrB gets to read the comments (I’m sure I’m not going to be the one praising him here), because he totally needs to know what great job he’s done with choosing it!! So impressed! And so looking forward to seeing this bag and YOU in one pictures (dogs are optional)! Nicely played Mr. B ! Look forward to seeing this bag in person in this New Year! Your new bag is fabulous. Good job MrB! Many happy, happy birthdays to you my friend. xo! Love the leopard, and kudos to Mr.B for his fine selection. I think it’s time we took our twin Prada’s out to lunch again. I LOOOOVE that bag! Great job MrB! He has great taste (that’s why he married you!). Gigi and Henry next to that bag is too hilarious. And on a separate note — the two of them are much more attractive than Three Dog Night! Wow that leopard Prada is beautiful! Also, is it ironic that my anti-spam word for this is ‘italy’? Mostly I love that you got your doggies to sit still near it for a photo…I have two miniature dachsund’s and they would NEVER EVER sit still to take a photo…truly a kodak moment. Always love cruising your new collections on the website…loving the silver bowtie ring…Valentines day maybe??? SWOON. I mean really. 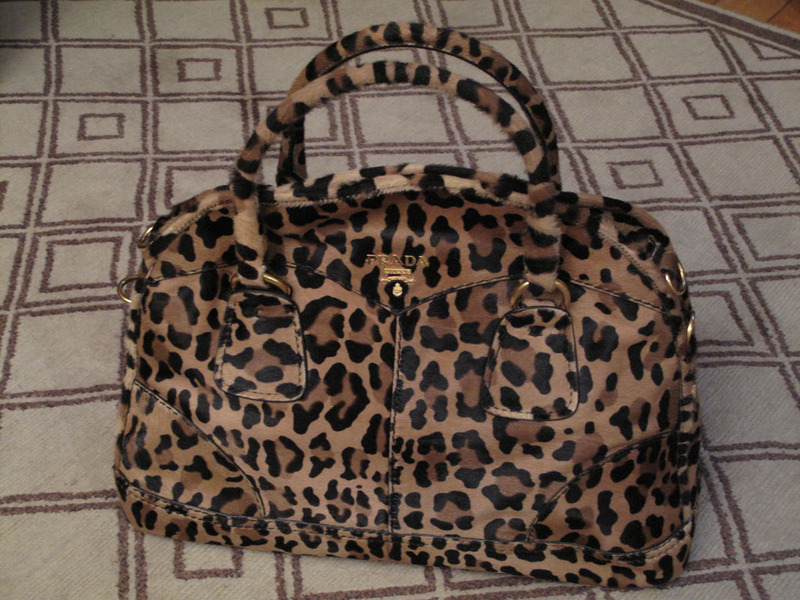 I’m looking for a leopard bag myself, and that one is stellar! Beautiful purse! The dogs are clearly jealous. Good job Mr.B. Fab bag! That photo is priceless. And I’m not at all surprised that you’re one of the few who knows the origin of the phrase “three dog night.” Their cover of “Mama Told Me Not to Come” is a fave of mine. Please pass my virtual high five to Mr. B. for a freaking fantastic present. EEEE!!! Better not get near me with that bag or I might steal it right out of your hands. I COVET!!!!! Mr. B has excellent taste, as do you. Mr. B is a true gentleman. When I grow up I want to be Mr. B. This is not a joke. Mr B is going to get a big head. I hesitate to add to it, but the boy done good. How fabulous. And Mr B is so good to be able to surprise you. Lucky girl. Love the bag, clever Mr B! I can believe he chose it unsolicited. BTW I am Australian and I have never before heard of that saying regrading 3 dogs. Also fan of that song and your cute pups. Nice bag! You are a very lucky lady and Mr. B. is a great husband! Well done, MrB! Gorgeous bag there. Good for you, Wendy! Love the bag. Does that make MrB 3 for 3 in the bag dept? Well done! You should bring the latest out for C&D so that I can inspect it in person! Lovely bag! For a moment I thought your doggies were going to pose *inside* it. But they’re clearly too well-brought up for that. So sweet of your hubby! Your bags are gorgeous. 😀 And omg, you have *two* Pekes? I think I’ve only seen Gigi. I have a Peke too though I’d love to have one more. 🙂 How old are your babies? MrB has excellent taste. Perhaps he can take MrM shopping next year. And as a Canadian I have to say that we were brought up to believe “three dog night” was an Inuit saying. How can those skinny hairless dingoes keep anyone warm? Our muscular hairy huskies are big hot water bottles! But Gigi and Henry are the cutest! eeek! your bags and your dogs! love them. 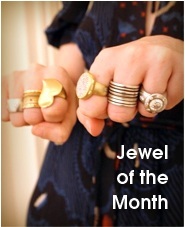 I’m impressed with MrB, he picks out some fantastic bags for you! Mr.B is awsome that is one cute bag and Happy B-day to you, may you be as fabulous for many years to come! Your new bag is GORGEOUS! I am on the lookout for a pair of leopard heels and leopard bag. Your Prada is perfect. Can you tell me which season/model it is please? I want to get it! I never knew the true meaning of “Three Dog Night.” I feel edumicated now! MrB has superb taste in bags. And he has superb taste in wives (and dogs)! But now, I want to see just how huge the bag is in relationship to the diminutive Miss WendyB. You simply MUST pose with it. Dog optional.